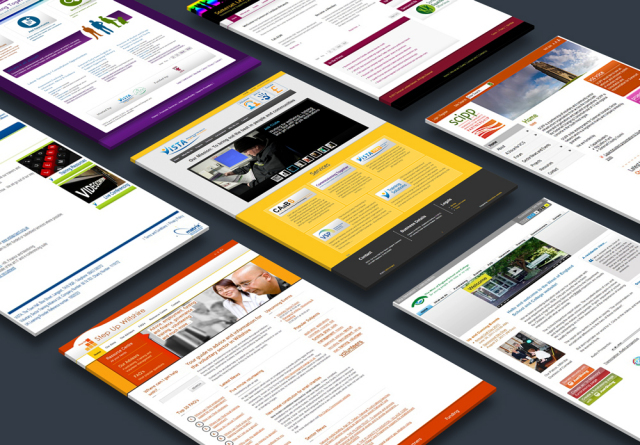 Charity websites – Most of which no longer exist due to funding cuts. An accessible ‘knowledge base’ for voluntary and community sector. The functionality included a customised document management system with bespoke search functionality and an customised accessible slider. Kirsty Haasjes – Charities Information Bureau. I have completed several accessible websites for this provider. Website Update – To better reflect their change of services. Functionality included the ability for the administrator to add multi-page project information. This website was responsive. Other projects included: New logo, recruitment website, Learning Management System and various small sites. Year first hired: 2007 (hired more than once). Laura Gower – ViSTA (Voluntary Sector Training Alliance). Functionality included a newsletter system, a database of local youth services providers and public upload facilities to showcase work done by a generational project. “SensoryStore offer an informative, friendly, flexible and professional service. I have found in SensoryStore an invaluable willingness to research and design tailor made products, which always meets the needs of our organisation”. Cara Faulkner – Project Manager, CHYPPS (Children and Young Peoples Partnership Somerset). SHINE Somerset – Accessible website with health care providers database. SCIPP – Re-Branding and accessible website with news, events, forum and voluntary and community sector database. South West Workforce Development Partnership – Accessible Learning Management Platform (“Supporting the Learners Journey”) and USB application for training material, training. Somerset Waste – Build and hosting of a newsletter registration form. Somerset Lesbian Network – Website with customised events section.